India, the country of Bollywood and Gandhi is a country of enormous and sometimes shocking opposites. Be sure to prepare well with an intercultural training India. Because employees are in danger of becoming victims of culture shock, frustration and – in the worst case – this will lead them to cancel their whole assignment abroad. Don’t let it get so far! 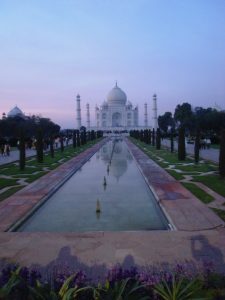 Expats going to India need the best intercultural preparation. Lilit’s intercultural training India offers executives first-hand inside knowledge. Learn about the most important do’s and don’t’s for everyday life in India’s megacities, use practical expert advice about typical challenges when it comes to cooperation with Indian partners and apply scientific intercultural insights on how to lead Indian employees. Whether it is about the caste system, social hierarchy or family orientation – Lilit gets you orientation before your move so you can confidently master all upcoming challenges. Be it an intercultural training India for your employees, an individual coaching for your managers or a coaching together with your spouse or family: Get our Lilit insight to make your stay in India an intercultural success story. Take this opportunity and contact us today! Then check out Marietta’s blogpost about her stay in the Indian NGO Maher and how it changed her life.